The manufacture of aircraft has been undertaken on the Yeovil site of what is now Westland Helicopters since 1915. At the turn of the century, before the first aeroplane had flown, Yeovil was better known as a market town and centre for the gloving industry, the only significant engineering activity in the area, was with Petters limited who produced oil engines providing power for agricultural purposes and light industry. 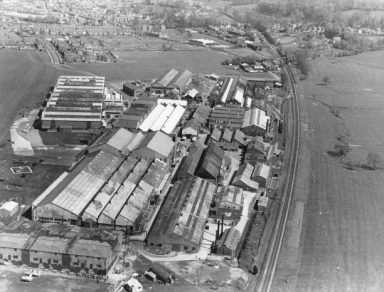 The Petter engines were in considerable demand and the Nautilus Works, situated in the centre of Yeovil was producing up to 1500 engines annually during the years immediately before the war. Petters was a family company, run by twin brothers, Ernest and Percy Petter. Such was the success of their oil engines, that by the outbreak of war they were already looking for a suitable site for a new foundry near the railway. In addition to the foundry, some 75 acres of farmland was purchased in order to build a garden village to house the expected increase in the workforce. The whole plan was changed by the onset of war, as hostilities gathered momentum, so the consumption of ammunition and equipment increased, outstripping the existing capacity and there was an immediate appeal from the government for companies to turn their attention to the armament manufacture. The Petters responded immediately, and telegrams were sent to both the War Office and the Admiralty offering to place their facilities and workforce at government disposal, for use in any capacity. Their approach was received with some indifference by the War Office, but a prompt reply came from the Admiralty. Following a meeting in London, it was suggested that the local sewing skills in the gloving industry, combined with Petters engineering capability could be well adapted for aircraft manufacture. The result was an order for twelve Short Type 184 patrol seaplanes, followed by a contract to build twenty Short Type 166, the completed seaplanes were transported to Hamble for flight testing. The success with the seaplanes resulted in a contract to build Sopwith 1½ Strutters. By 1916 construction of the factory and airfield was well in hand, completion of Sopwith contracts was quickly followed by an order to build de Havilland 4 and 9 two-seat bombers, these were often delivered directly to the Western front. It became a Westland custom to ballast the rear seat of these aircraft with a barrel of the local cider. Towards the end of the war, Westland was sub-contracted by de-Havilland to install the American Liberty engine in the DH-9 to produce the DH-9A, having completed this work satisfactorily, Westland became the prime contractor for the type. This was an important factor in establishing Westland as a major company in Britain’s aircraft industry. Westland was also contracted to build 75 Vickers Vimys and had completed 25 of these when the war ended, by which time over 1100 aircraft had been delivered. 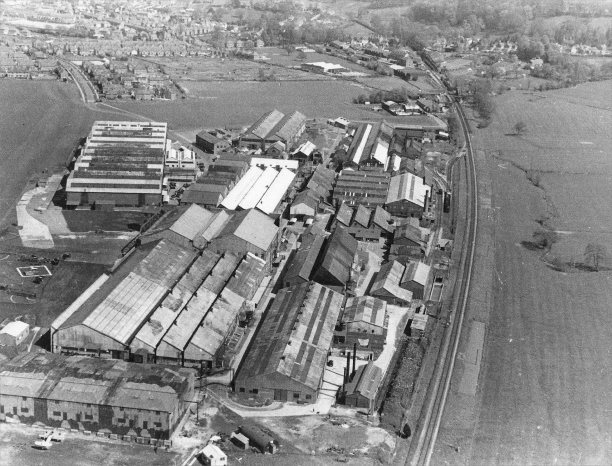 Many of the original buildings, including the large hangar constructed for Vimy production, are still in use within the Yeovil factory today. The DH-9A continued in production at Yeovil until 1927, and this was followed by the Wapiti, which incorporated a large proportion of DH-9A airframe components and was the winner of the competition for a General Purpose aircraft, to become the mainstay of RAF operations in the Middle East and India throughout the peace-time years, a total of 563 were built. The continuous production of the Wapiti and its successor the Wallace served as an effective cushion for Yeovil during the lean years of the depression. Westland was a very innovative company and during the years before World War II, a number of exciting designs were flown. The most striking of these was the range of Westland-Hill Pterodactyl tailless aircraft and the very sleek Wizard monoplane fighter. In 1933 a modified Wapiti (The Westland-Houston PV-3) flew over the summit of Everest (29,030ft). Although flying at such altitudes is now commonplace, the achievement attracted press attention comparable with the early space shots and was indicative of an interest in high altitude flying and cabin conditioning which was to re-emerge later. There was also a brief excursion into Rotary winged aircraft in 1936, when Westland constructed two Cierva autogyro designs, the CL-20 and the C-29. The rotorcraft activity discontinued due to the imminent war. The prototype Lysander flew at the end of 1936, intended to provide a modern general purpose aircraft, its design was a logical progression of the peacetime role which had fallen to the Wapiti, Wallace and Hectors. The Lysander had remarkable Short Take-off and Landing capabilities and was well suited for an un-opposed Army Co-operation role defined in the specification. Westland was also building a small powerful twin-engined fighter, the Whirlwind intended to maintain air superiority over the English Channel and Northern France. again the innovative approach was evident, the Whirlwind was armed with four 20mm cannons, neatly grouped in the nose, offering firepower well in advance of contemporary thinking. As events transpired, the capitulation of France eliminated the requirement for long-range fighters, and the Whirlwind only saw limited service. When war came in 1939, Westland was well advanced in the production of the two new aircraft. Lysanders were already in service and several squadrons went to France to support the Army. They suffered badly against the Luftwaffe, leaving no doubt that the Lysander was neither intended or suited to blitzkrieg warfare. For the rest of the war they served as target towing and Search and rescue roles, but they will always be remembered for the vital part they played flying secret agents to France at night, using their unique short field capabilities to full advantage. The destruction of the Supermarine factory at Southampton by German bombing brought Spitfire production to a standstill and Yeovil was one of the factories selected to recover this serious situation, within three months Spitfires were rolling off the line supported by a network of small local shadow factories which had been hastily set up in the Yeovil area. Westland played a major part in the design of the Seafire and by the end of the war over 2000 Spitfire/Seafires had been produced in the Westland factories at Yeovil and Ilchester. One of the most important aircraft to be produced during the war period was the Welkinhigh altitude fighter. It was required to combat the high flying German reconnaissance aircraft. The requirement to operate at altitudes of 40,000 ft or more called for cabin pressurisation and it was from this pioneering work that the independent company Normalair developed. The last fixed-wing design to be produced by Westland was the powerful Wyvernshipborne strike fighter, powered by a large turboprop driving contra-rotating propellers it entered service with the Royal Navy in 1953 and was used operationally during the Suez. Over 6000 fixed-wing aircraft were built at Yeovil between 1915 and 1955. With the end of the war meant that the large aircraft industry would have to adapt to peacetime needs. The board of Westland Aircraft decided that the future may lie with a totally different form of flying machine, the helicopter. The first practical helicopters had appeared towards the end of the war in Germany and USA, one of the most successful American designers being Sikorsky. In 1946 Westland negotiated a long-term agreement to build Sikorsky designs under licence, but they also made the bold policy decision to specialise in helicopter designs for the future. Work started with the Sikorsky S-51, which was subjected to some re-design to become the Dragonfly, flying for the first time in 1948, in service with the Royal Navy and RAF by 1953. Success with the Dragonfly was repeated with the S-55 to become the Whirlwind and in 1958 the S-58 was re-engined with a gas turbine to become the Wessex. The introduction of helicopters into the Royal Navy was to transform Naval Aviation. The use of helicopters equipped with dipping sonar superseded fixed-wing aircraft in the anti-submarine role while helicopters brought a whole new dimension to search and rescue. It must not be assumed that Westland simply built off the shelf designs under licence. In all cases, the Westland versions were subject to re-design and incorporated many improvements. Later Whirlwinds were re-engined with gas-turbines and the Wessex included a very advanced autopilot, setting the highest standards in the anti-submarine role. In 1960 the British aircraft industry underwent a major re-organisation. There were at the time over twenty aircraft manufacturers, all competing for a few orders. The government of the time made it clear that it could no longer support this situation. The result was a period of re-organisation where many of the companies combined to form only two major aircraft manufacturing groups (The British Aircraft Corporation and the Hawker Siddeley Group), neither of which had retained any interest in rotorcraft. Because of its success in the helicopter business, Westland was well placed to take the lead for rotary winged aircraft, there followed a period when Westland acquired Bristol Helicopters, Fairey Aviation and Saunders-Roe to become Westland Helicopters, Britain’s sole helicopter company with full order books for Wessex, Scout and Wasp. The partnership with Sikorsky continued with the adoption of the SH-3D to produce the Sea King. At the same time, the British forces requirement for a range of new helicopters was met by collaboration with the French company, Aerospatiale to produce three new designs, Puma, Gazelle and Lynx. Westland was to take design leadership for the Lynx, while Aerospatiale was to be responsible for Puma and Gazelle. Both companies were to take part in the development and manufacture of all the aircraft. The Anglo-French Helicopter Package Deal represented a major step in the development of Westland within the European aircraft industry. As the Lynx established itself with overseas orders, a decision was made to launch a larger aircraft, based on Lynx dynamic components as a private venture on the civil market. This was to be the 12000lb/14 passenger Westland 30. The W30 met with some initial success in the UK and USA, but the expected orders never materialised in time to fill the production gap which was predicted once the UK military orders had been delivered. The mid-1980s proved to be a difficult time for Westland. On the one hand, there was a need to find a suitable partner to invest capital, sufficient to sustain the company over the period when a new product could be brought online. At the same time, the company was making a considerable investment in composite blade technology and design of a replacement for the Sea King. Westland favoured a proposal for a major link with Sikorsky but the then Secretary of State for Defence, Micheal Hesseltine, preferred a European option. The Westland dilemma made national news at the time, but the link with Sikorsky went ahead and Westland survived. Westland had already entered an agreement with the Italian firm Agusta, to collaborate in the design, development and production of a new large helicopter to meet the requirement for a Sea King replacement. The two companies formed a joint company, EH Industries, specifically to produce the EH101, a multi-role helicopter designed to meet naval, military utility and civil requirements. There followed an interesting turn of events whereby at the time when the firms financial future had been in doubt, the Lynx took the World absolute speed record for helicopters (400.87kph / 249.1 mph) with the new composite rotor blades and the prototype EH101 flew for the first time. The EH101 development programme progressed well, and in 1991 the Ministry of Defence placed an order for 44 anti-submarine warfare aircraft designated EH101 Merlin HM Mk1. Following a competition, the prime contract was placed with a consortium led by the US company IBM, supported by Westland, in preference to a rival consortium led by British Aerospace and GEC Marconi. The need for the competition and the involvement of IBM as Westland’s partner was because neither Westland or EHI were in a position to satisfy the MoD requirement that the prime contractor must have sufficient resources to underwrite the value of the whole £1.5 billion contract. The engineering company GKN had been a major shareholder in the Westland Group since 1987 and was one of the Groups strongest supporters. Sikorsky’s parent company, United Technologies, was the other significant shareholder and in 1994 it decided to sell its holding. GKN bought the UTC shares and launched a successful take-over bid for Westland. Re-named GKN Westland Helicopters in 1995, the substantial financial muscle of GKN enabled the company to bid successfully as prime contractor for the £600 million Support Helicopter contract for the RAF (Merlin HC Mk 3), and the £2 billion Attack Helicopter contract for the Army Air Corps (WAH-64 Apache). In 1998 GKN and Finmeccanica announced that they were starting negotiations to create a joint venture company by combining their respective helicopter companies, Westland and Agusta. Those negotiations were successfully concluded in July 2000. The company AgustaWestland, will be the second largest helicopter company in the world, with a turnover of more than US$2 Billion and a workforce of some 10,000 people. By retaining the name Westland, the new company is perpetuating the proud heritage that has been associated with that name since Sir Ernest Petter made his first approach to the Admiralty in 1915.